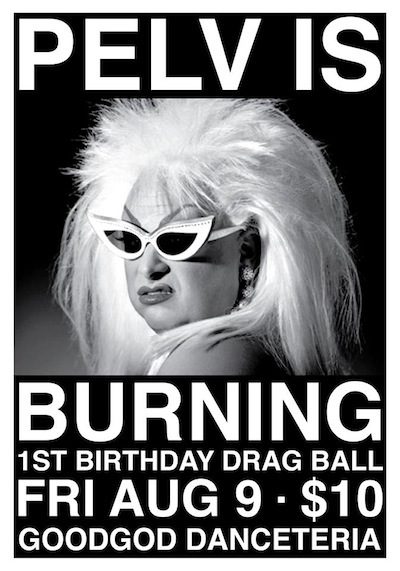 Pelvis‘ first anniversary Xtravaganza, a transgender trance state of independence. Feather the nest in drag for a ballroom birthday celebration that welcomes the chest, the breast, the best and the rest. An homage to the realness of New York ball culture, mothers of the House of Pelvis are plucking their eyebrows, pretending they’re heading to The Pyramid, whilst packing some flats for that sunrise saunter back to safety. Girls, bend your gender any way you please. You have a few weeks in which not to wax, or if you prefer you can tweeze yourself into a two-spirit to completely confuse. Find a dress that will impress, get the feel for some heels, and clock on because you best believe you’re going to work.